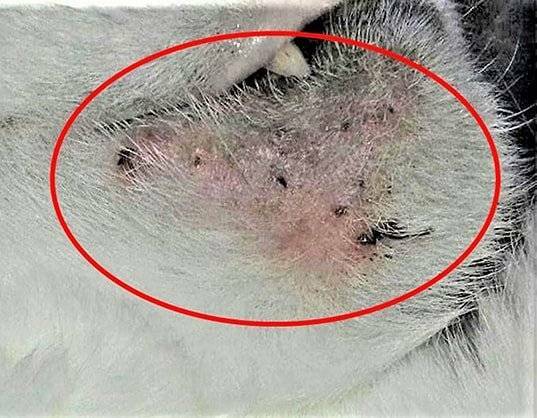 How do I get rid of and treat my cat's/kitten's skin infection? How do I get rid of and treat my cat’s/kitten’s infection/skin infection with Banixx? To get rid of and treat a cat skin yeast infection, or any cat itchy skin problem, use this remedy at home for real results. Apply Banixx liberally, using disposable gloves, to the affected area two to three times daily, for two to three days (or as long as needed). Gently massage Banixx into the skin of your cat or kitten with your fingertips. Dispose of the gloves to prevent the spread of infection. Continue as needed. You cannot overtreat with Banixx. When you're all done, just let Banixx go to work. Banixx stays "active" for several hours so make no attempt to wipe or clean it off. Banixx is not sticky nor does it have color, so its a perfect "leave-on" treatment for any cat skin infections. Dr. Broadhurst, a feline specialist in Pinehurst, NC, states that "Many products used on other animals cannot be used on cats; however, that is not the case with Banixx. 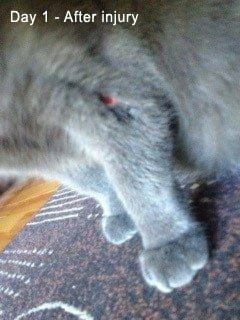 We have had amazing results on wounds and burns on cats." View case studies for cats wound here. While Banixx is a powerful anti-fungal and antibacterial agent, it is also extremely tissue-friendly and will not sting, stain, or cause damage to even the most sensitive areas of your cat or kitten. Banixx is clinically proven safe around the eye and contains no alcohol or iodine to cauterize tissue. For these reasons, Banixx is ideal for use with young or skittish pets, or other cats/kittens that may be difficult to treat. 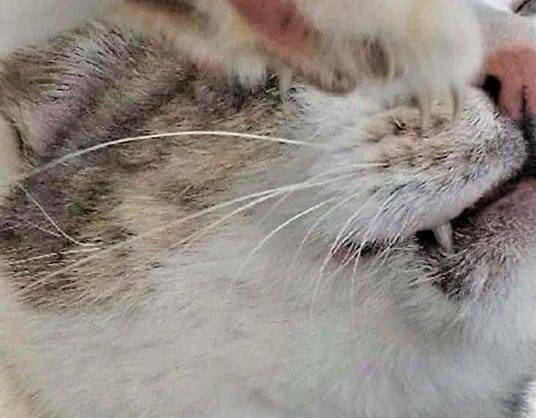 We at The Cattery gave a free sample to a client whose cat had some strange, raw, irritated patch on his face [which was a cat skin infection]. 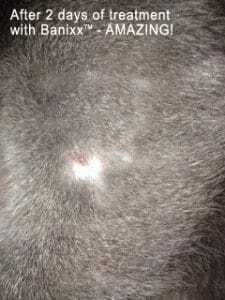 The vets had prescribed 2 lots of antibiotics and several creams. Nothing had worked. With Banixx it completely healed within a couple of weeks. Note, since the cat was semi-feral, treatment, at best was only possible to administer once a day.